SENSE Charter School has received a planning grant of $25,000 under Lilly Endowment Inc.’s Comprehensive Counseling Initiative for Indiana K-12 Students. The aim of the Counseling Initiative is to increase significantly the number of K-12 students in Indiana public school corporations and charter schools who are emotionally healthy, realize academic success, graduate from high school, obtain valuable postsecondary credentials, certifications and degrees necessary for meaningful employment, and are prepared to compete and prosper in the global society in which they will live and work. SENSE Charter School will use the funds to explore Trauma Sensitive training and certification. SENSE Charter School is one of 284 Indiana public school corporations and charter schools in Indiana receiving planning grants through the initiative. In addition to helping public school corporations and charter schools assess their current counseling programs and identify best practices in comprehensive counseling efforts, planning grants will help recipients prepare implementation grant proposals to fund their strategies to improve their counseling programs. Implementation grant proposals are due to Lilly Endowment by May 19, 2017. Applicants may request up to $100 per enrolled student, and amounts of the implementation grants will range from $100,000 to $3 million. The implementation grant phase is competitive. Notification of implementation grant approvals is expected by Sept. 30, 2017. SENSE Charter School is excited for the opportunity to explore best practices and initiatives that will assist teachers in reaching every child through a holistic approach of care and support. “Across Indiana, too few schools use a best-practices, comprehensive counseling model to prepare students for successful lives beyond high school,” said Sara B. Cobb, Lilly Endowment’s vice president for education. “Often school counselors are burdened with large caseloads and non-counseling duties, which limit their ability to help students. And often schools struggle to balance addressing students’ college and career counseling needs with addressing their social and emotional needs. “We believe that enhancing and expanding in a comprehensive way the academic, college, career and social and emotional counseling in Indiana schools could help address the state’s educational attainment and economic challenges. We continue to hear that many Indiana employers have difficulty finding workers adequately prepared for the jobs they have available. If they have adequate time and training, counselors can help students know about the valuable postsecondary credentials, certificates and degrees required for meaningful employment in Indiana, which is essential for their future prosperity and quality of life,” Cobb added. 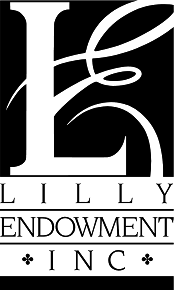 Lilly Endowment Inc. is an Indianapolis-based private philanthropic foundation created in 1937 by three members of the Lilly family - J.K. Lilly Sr. and sons J.K. Jr. and Eli - through gifts of stock in their pharmaceutical business, Eli Lilly & Company. The Endowment is primarily committed to the causes of community development, education and religion and has a special commitment to its hometown, Indianapolis, and its home state, Indiana.